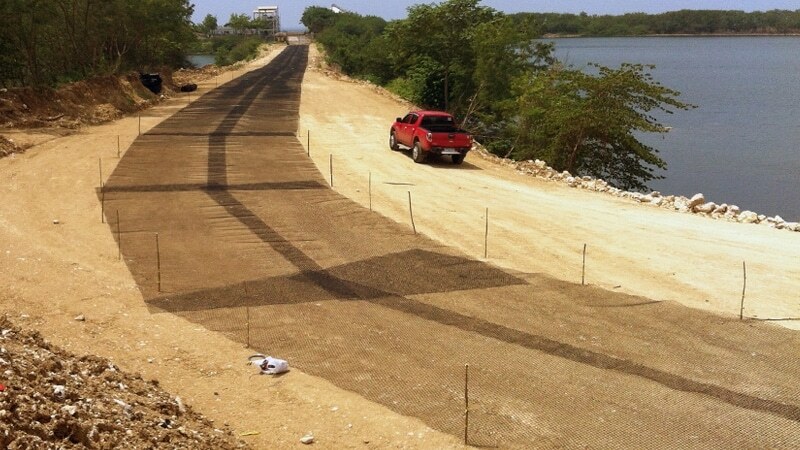 Coupled with appropriate engineering analysis by qualified professional engineer, Tensar’s Triax can offer considerable savings in pavement design by reducing sub-base material or by increasing service life while reducing the possibility of disturbing and weakening sensitive subgrade formations. 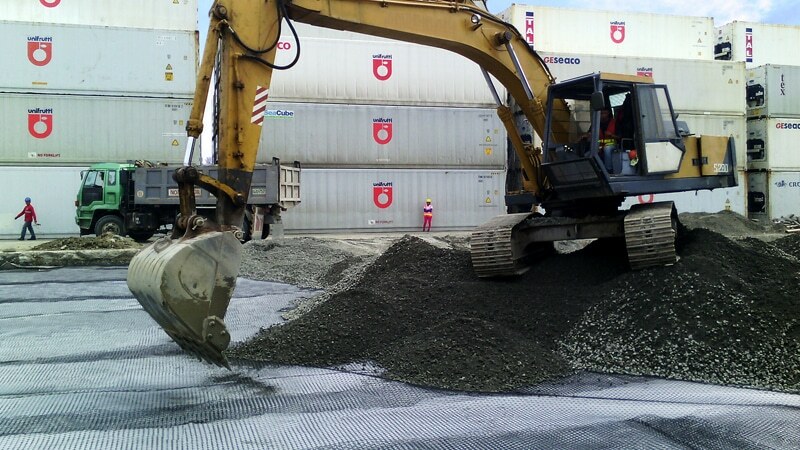 Pavement optimization makes use of mechanically stabilized layers in pavement construction. 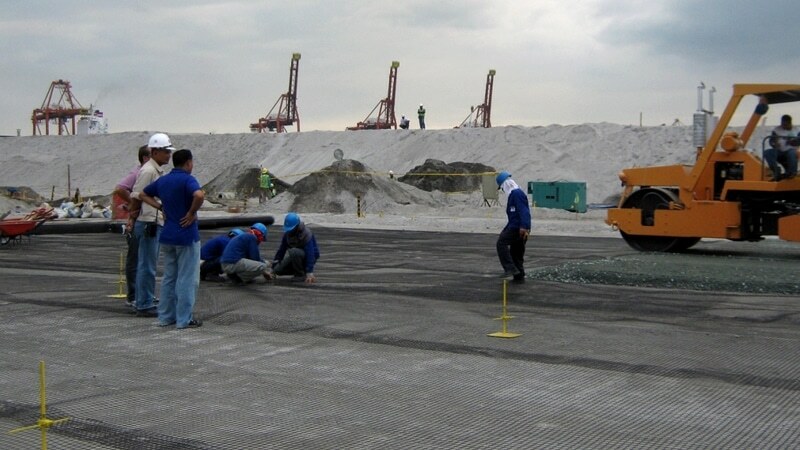 Mechanically stabilized layer or MSL is the granular layer stabilized with geogrids that helps prevent the movement of particles of the layer under applied load. 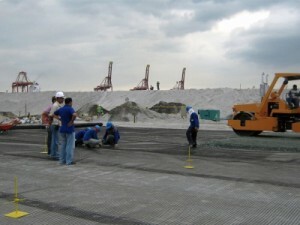 MSL acts as a composite due to interlock mechanism between the aggregate and the geogrid. 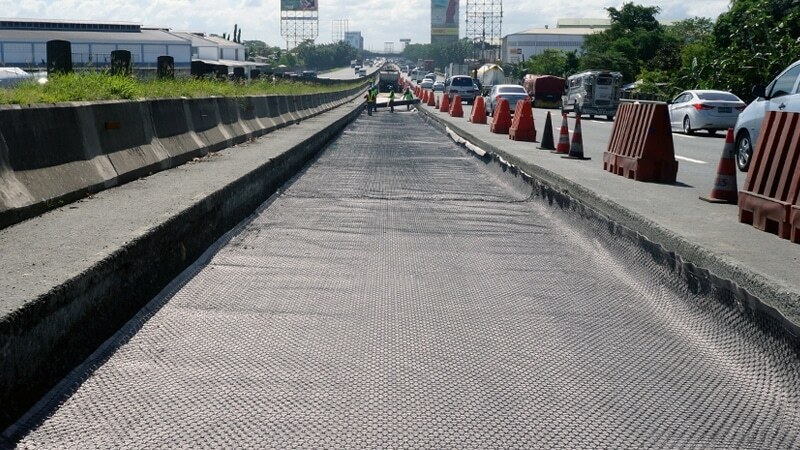 With the improved performance of MSL, designers are capable of reducing pavement thickness, increasing pavement life or reducing life cycle cost in pavement construction. 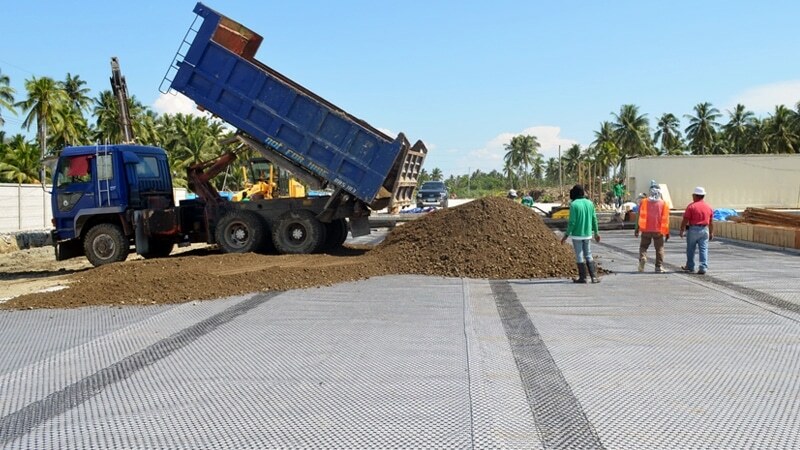 Heavy duty pavement is made of multi-layer of geogrids on the granular layer of soil. This multi-layer system is made possible by the mechanism of interlock between the aggregates and geogrids. The composite created is a stiff platform that can control differential settlement; span depressions and voids; and accommodate high dynamic and static loads like those experienced at container ports. 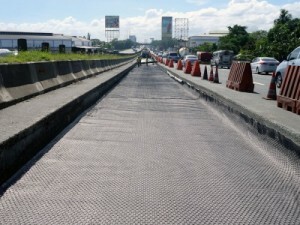 The multi-layer reinforcement can significantly reduce whole life cost and increase design life. 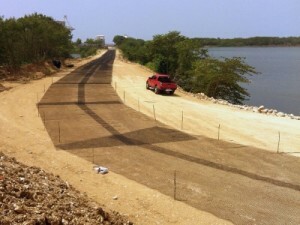 Access roads or unpaved roads serve as temporary access on almost all construction sites ranging from housing developments to major infrastructure projects. Often these roads run over weak or variable ground conditions which can present huge problems when subjected to constant heavy loads. 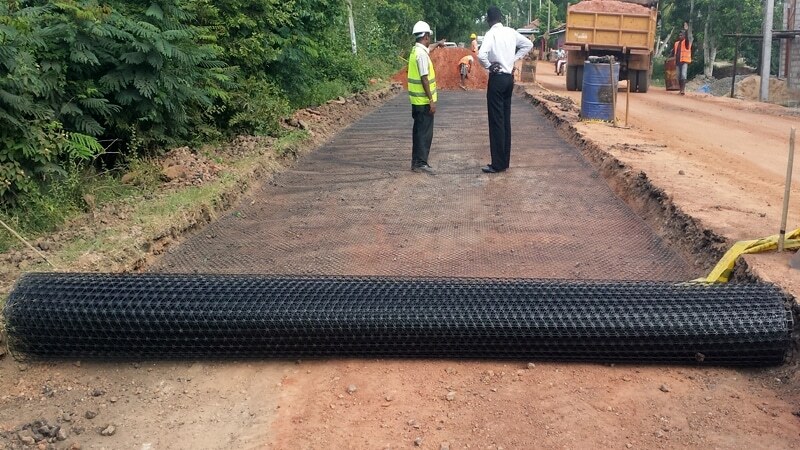 But by mechanically stabilizing the granular materials with geogrids, efficient stiff composite layer for access road is produced. This mechanically stabilized layer can: reduce aggregate layer thickness by up to 50%, reduce the excavation needed, control differential settlement, increase bearing capacity, and cut construction carbon dioxide emissions by up to 50%. 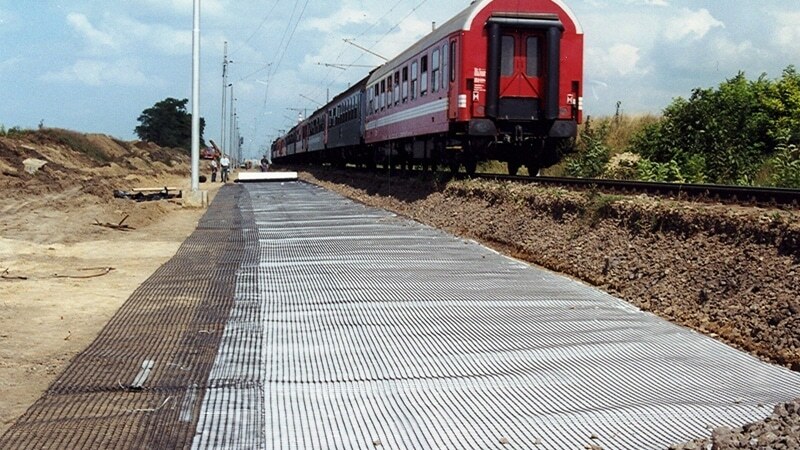 Ballast Stabilisation is achieved by placing reinforcements such as geogrids on soil layers on railways. It can either control lateral displacement of the ballast or improve bearing capacity over weak ground. Research has shown that ballast reinforced with geogrids over poor formation achieves stiffness levels similar to unreinforced ballast over firm foundations. Putting geogrid is one way to reinforce track ballast simply and economically. 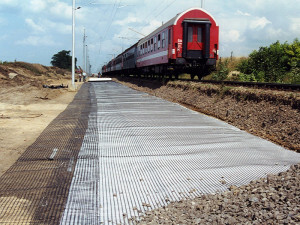 Design software for roads is used by integrating geogrids to provide the most economical solutions in ground stabilisation and pavement optimisation, where the technique to be done in designing depends. 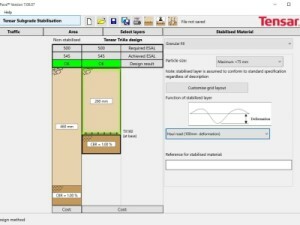 The required ESAL, allowable deformation, the thickness, type and properties of each soil layers, are the input data needed in the software. The software automatically gives the ESAL the soil layer/s can accommodate and can be adjusted until desired thickness of soil layer/s types and locations of geogrids are achieved. This video shows the difference in stability between a compacted soil and another compacted soil with geogrids as reinforcement.